Ayurvedic medicine lies behind equal emphasis on body, mind, and spirit to restore the innate harmony of the individual. 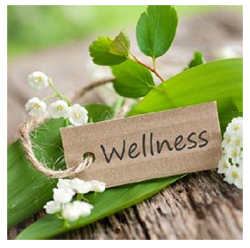 Mode of treatments usually includes music, herbs, massage, steams, facials and aromatherapy. Virgin Oil de Coco-Crème® with its purity and efficacy is an optimum oil to use in different ayurvedic applications. It is pure, it is clean, it is stable, and it works. It has naturally occurring functions of bio-solvent characteristics that extracts toxins and bacteria. After oil pulling procedure, Virgin oil de Coco-Crème® can be used as soothing conditioner in gums for final touch. It is best to do it at bed time for maximal effect. Virgin oil de Coco-Crème® has no limitations in aromatheraphy; it is an excellent carrier oil in both solid and in liquid-melted forms. It has a very long shelf life and excellent miscibility in any type of essential oils, and it is smooth and moisturizing to apply on the skin. In solid form, it has an ideal “time release” property which encapsulates the essential oil until it applies on time on a certain part of the body for treatment. Either in solid or liquid form, Virgin oil de Coco-Crème® has optimum glide characteristics, a prime consideration in choosing aromatherapy massage treatment. Virgin oil de Coco-Crème®s purity is released to your face via steam. It is like a pure medium chain oil molecule that is released for softness and clarity of the skin, a characteristic that is unique to Virgin oil de Coco-Crème®. In its vapor form, Virgin Oil de Coco-Crème® has multiple functions: cleansing, exfoliating, conditioning and moisturizing. This is a characteristic that makes Virgin oil de Coco-Crème® unique not only among other coconut oils but also among other natural plant base oils. Virgin oil de Coco-Crème® is fresh and clean. It is similar to fresh coconut pulp that contains raw oil and traces of protein. Therefore, Virgin oil de Coco-Crème® is excellent to use as liquid balm to stimulate hair growth by applying small amount and massaging the scalp at night. This conditions both hair and scalp. Virgin oil de Coco-Crème® can also be used as one-ingredient dandruff cure or can be used with selected essential oils and botanical extracts due to its natural astringent and anti-bacterial properties. In ayurvedic massage, Virgin oil de Coco-Crème® is used not only as a massage oil but as an active ingredient. One of the most natural forms to use in detoxification is natural coconut oil. The principle behind detoxification is cleaning your blood system through removing impurities in the liver where toxins are processed for elimination. A good fat is needed for detoxification process as it extracts nutrients out of food for slow digestion so nutrients can be absorbed for rebuilding the cells into a healthy state. Good saturated fat is ideal as cell membranes must be constructed out of 50 percent saturated fat to be healthy. Virgin oil de Coco-Crème®, as a pure and clean coconut oil, does the job in excellent manner. It is a whole food that will act as a supplemental tool for the process.